Bet on all of the world’s best horse tracks and races legally and securely with Xpressbet Horse Racing Betting Mobile App. Xpressbet Horse Racing Betting is the Official Betting App of the Preakness Stakes, Santa Anita Park, Gulfstream Park and the Pegasus World Cup. Use Xpressbet Horse Racing Betting to bet the best events like the Kentucky Derby, Breeders’ Cup, Belmont Stakes, as well as races from Keeneland, Del Mar, New York Racing Association (NYRA) horse tracks – Saratoga, Belmont Park and Aqueduct, Churchill Downs, Pimlico, Santa Anita and Gulfstream Park. Get the app, sign up, and bet today! Start wagering in minutes. We value our customer's feedback, let us know how we are doing by emailing us at customerservice@xpressbet.com. Xpressbet is a Stronach Group Company. The Stronach Group is North America’s leading owner and operator of horse racetracks, including Gulfstream Park, Santa Anita Park, Pimlico, Laurel, Golden Gate Fields, Portland Meadows and Rosecroft Raceway. *States where Xpressbet Horse Racing Betting Mobile App wagering services are available: Alabama, Arkansas, California, Colorado, Connecticut, Delaware, Florida, Idaho, Illinois, Indiana, Iowa, Kansas, Kentucky, Louisiana, Maine, Maryland, Massachusetts, Michigan, Minnesota, Montana, Nebraska, New Hampshire, New Mexico, New York, North Dakota, Ohio, Oklahoma, Oregon, Pennsylvania, Rhode Island, South Dakota, Tennessee, Vermont, Virginia, Washington, West Virginia, Wisconsin, Wyoming. Must be 18 or older (21 in AL, AZ, IA, IN, KS, NH, ND, WA) to open an account with Xpressbet, LLC (Xpressbet Horse Racing Betting) and reside in a state where such activity is legal. Void where prohibited. National Gambling Support Line 800.522.4700. New promo code has been added, APP250, earn $10 for every $100 you bet, up to $250. We've also made a few performance upgrades as well as added the ability to rate our app. A professionally managed app that works perfectly. Gives me great confidence in properly managing my wagers. Excellent customer service. Only one suggestion: It would be great if I could review a list of my wagers for the day, organized by Post Time, each with a video link to the live race. That would make for an easy and fun way to watch each race where I have skin in the game. Thanks. Easy, fast, Fun on the go! 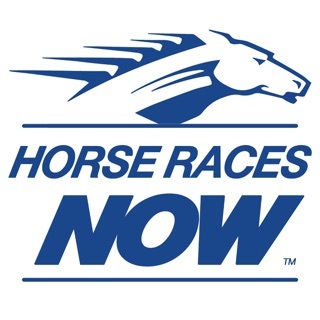 This is my choice app for horse wagering! The recent improvements have made the app even easier to use. They are always adding helpful features and truly listen to suggestions made by the user which really keeps me as a loyal customer. Keep it up Xpressbet!